The new book from Martha Stewart Living is released today. 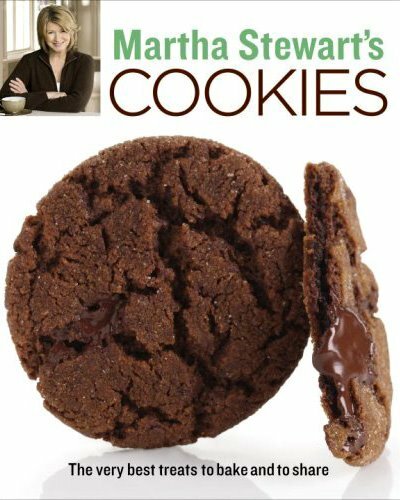 Martha Stewart's Cookies is a collection of the best cookie recipes from the kitchens of Martha Stewart Living. Cleverly organized by texture, the 175 recipes in the book feature classic, nostalgic treats but with more nuance. Chapters include all types of treasures: Light and Delicate (Cherry Tuiles, Hazelnut Cookies, Chocolate Meringues); Rich and Dense (Key Lime Bars, Chocolate Mint Sandwiches, Peanut Butter Swirl Brownies); Chunky and Nutty (Magic Blondies, Turtle Brownies, White Chocolate-Chunk Cookies); Soft and Chewy (Snickerdoodles, Fig Bars, Chewy Chocolate Gingerbread Cookies); Crisp and Crunchy (ANZAC Biscuits, Chocolate Pistachio Biscotti, Almond Spice Wafers); Crumbly and Sandy (Cappuccino-Chocolate Bites, Maple-Pecan Shortbread, Lemon-Apricot Sandwiches); and Cakey and Tender (Lemon Madeleines, Carrot Cake Cookies, Pumpkin Cookies with Brown-Butter Icing). Martha Stewart's Cookies is rich with helpful tips and techniques for baking, decorating, and storing, as well as lovely gift-packaging ideas in standout Martha Stewart style. It's best selling feature, for me, is the photography. The principal photographer is Victor Schrager (http://www.victorschrager.com/) whose style is clean, crisp and modern. 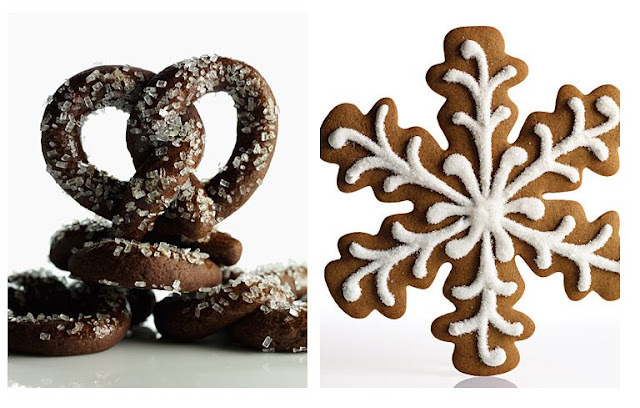 His photographs have been featured numerous times in the magazine, including the special Holiday cookie issue a few years ago. Cookies never looked so good! Even the table of contents is nicely laid out with a photograph of each cookie that is featured in the book. The design of the book, as usual, is wonderful. It is digest format (soft cover, slightly smaller) and features 352 beautifully-designed pages. I'm not crazy about the cover, though. It lacks impact. Update: The day after the book was released, it reached #1 on Amazon's cookbook sales list and #39 in overall book sales! Very interesting that they organized by texture.